The time has come to update or add a fireplace to your home. You cannot wait to experience the warmth throughout your space and build memories with your loved ones around the roaring fire. The aesthetic of your fireplace is equally as important. That is why Napoleon has a wide variety of options to adorn your fireplace with. 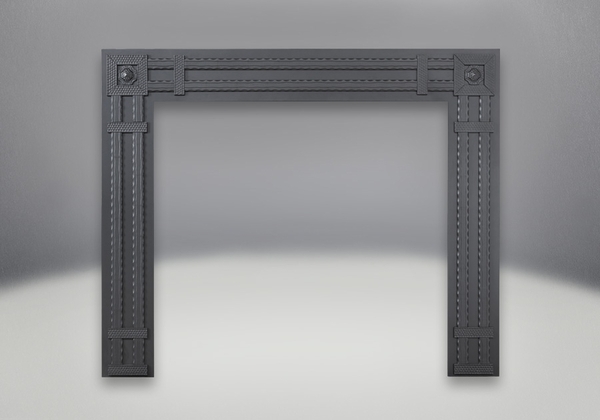 This Napoleon rectangular decorative surround is created using a matte black wrought iron finish. Perfect for use with a HD35NT STARfire deluxe fireplace; this surround is sure to create a modern, comfortable and cozy feeling in your home. Watch the fire ignite!